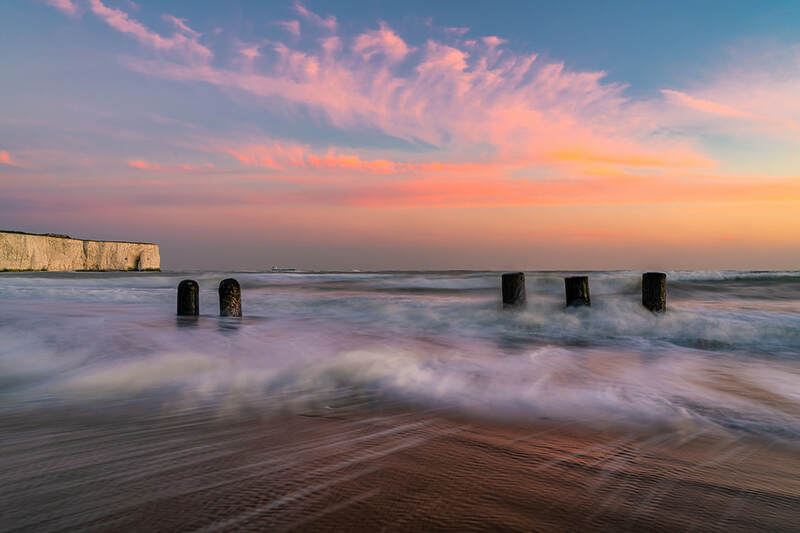 Overlooking the southern end of the beach is Kingsgate Castle, built in the 1760s for Lord Holland. 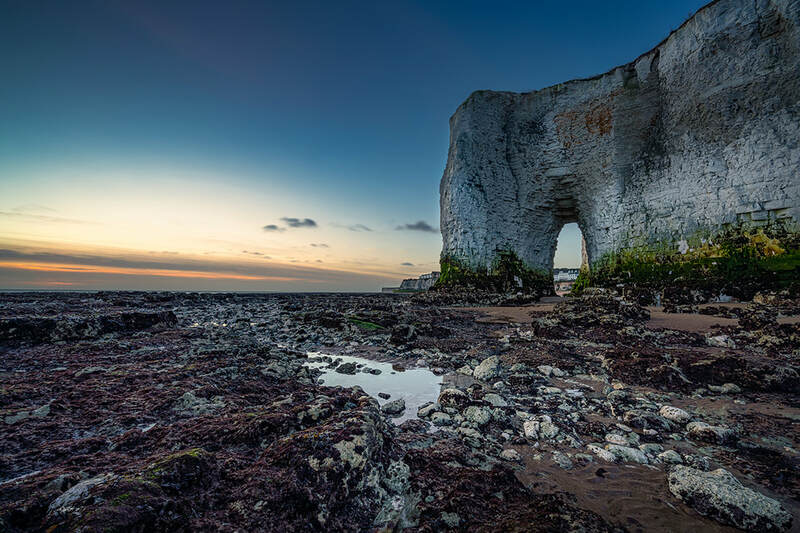 At the other end is the Captain Digby public house, also built by Lord Holland. 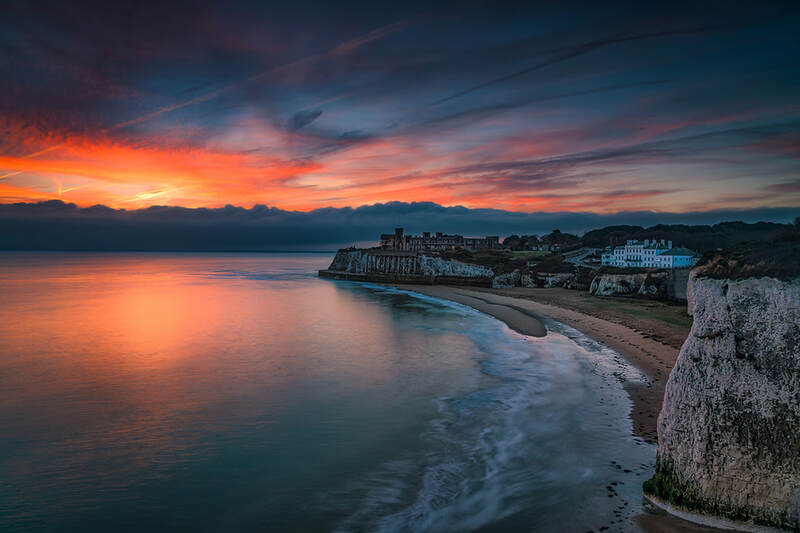 There is no parking at the bay, nearest is the Captain Digby public house or Joss Bay. 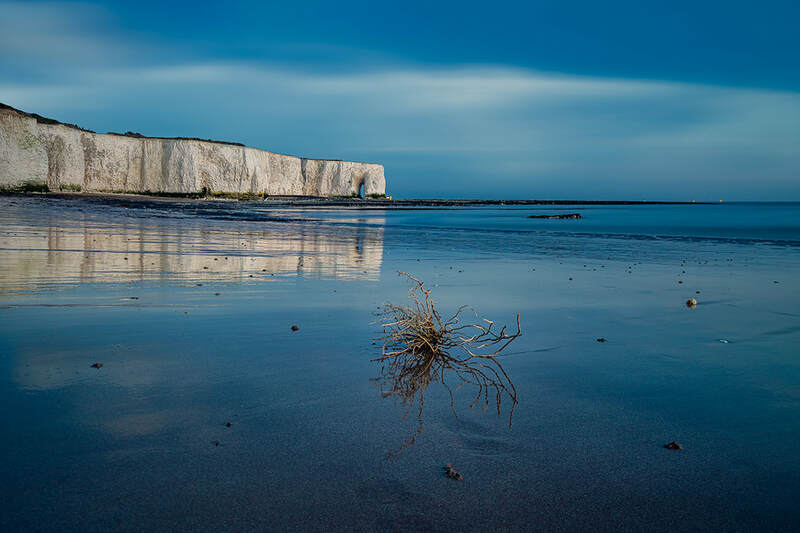 Some of my Kingsgate Bay seascape photographs. 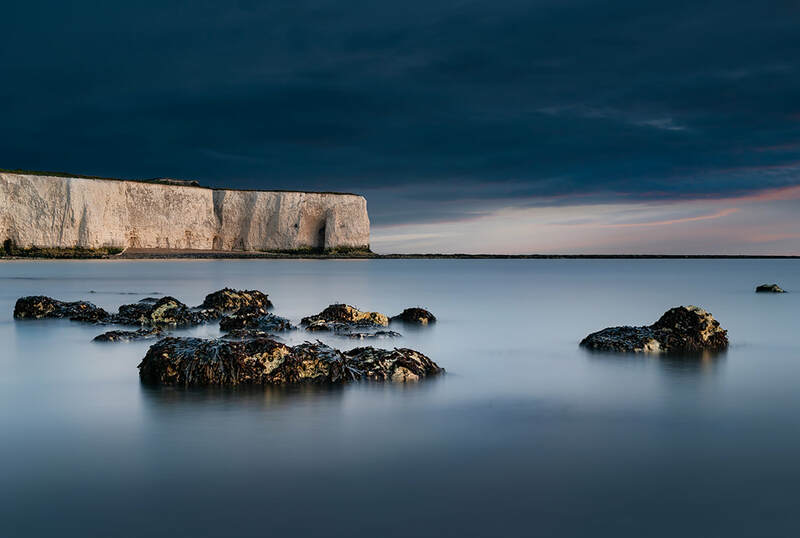 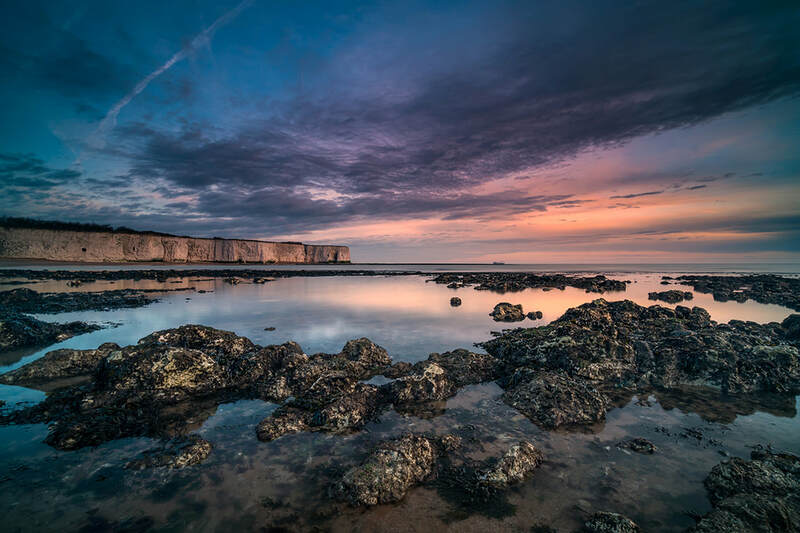 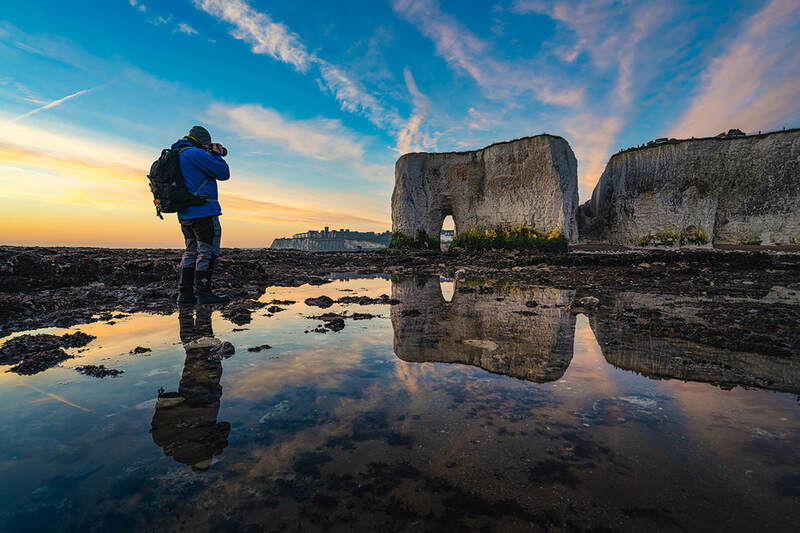 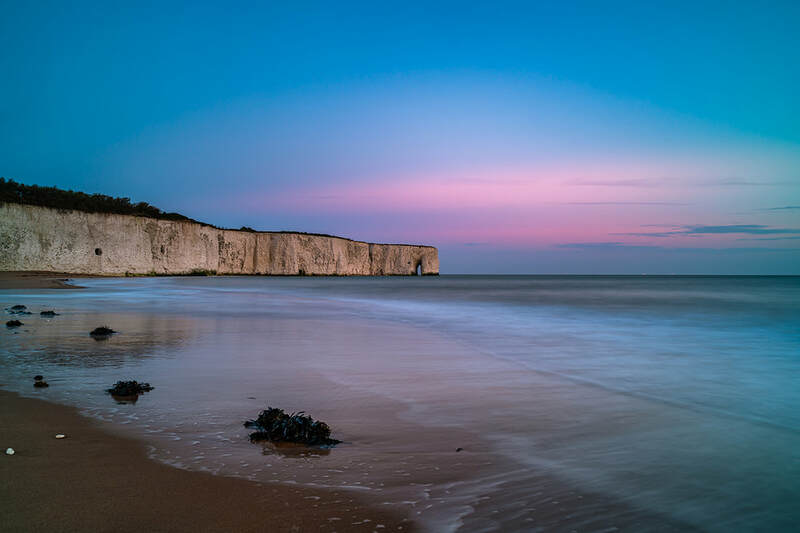 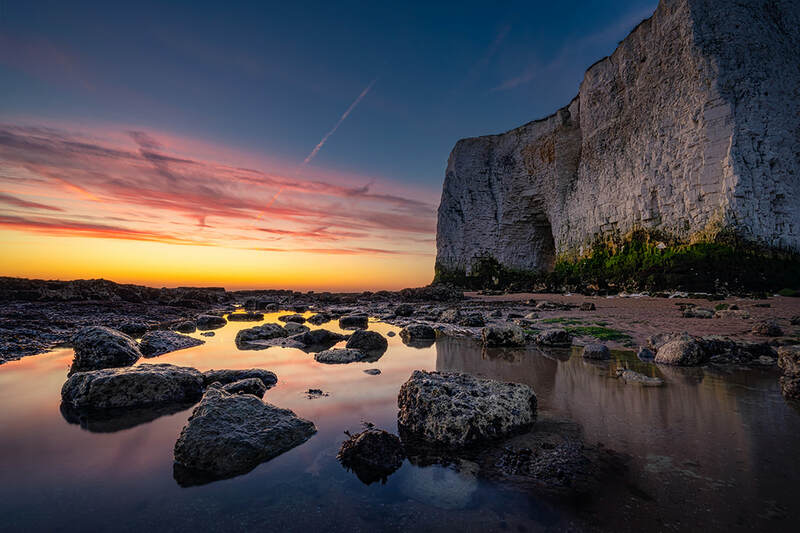 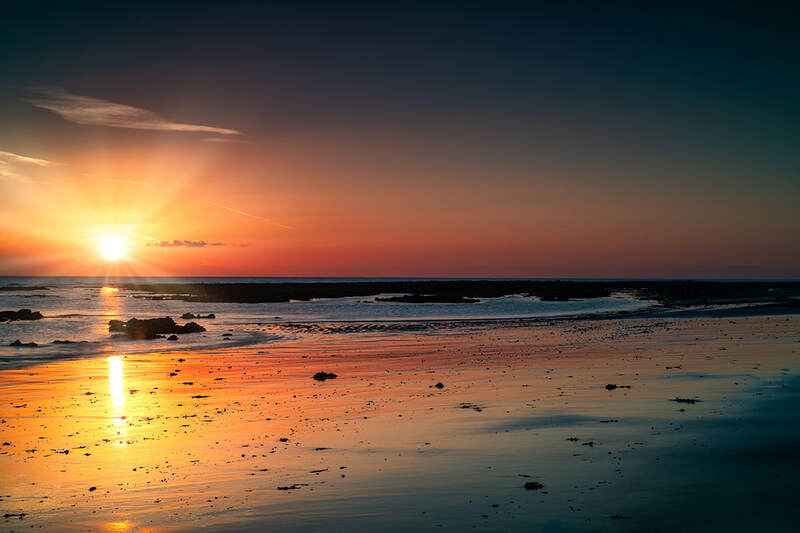 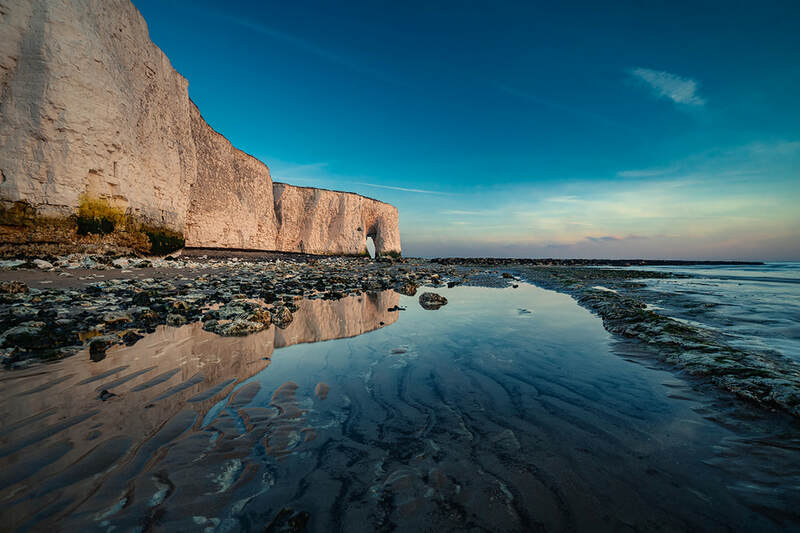 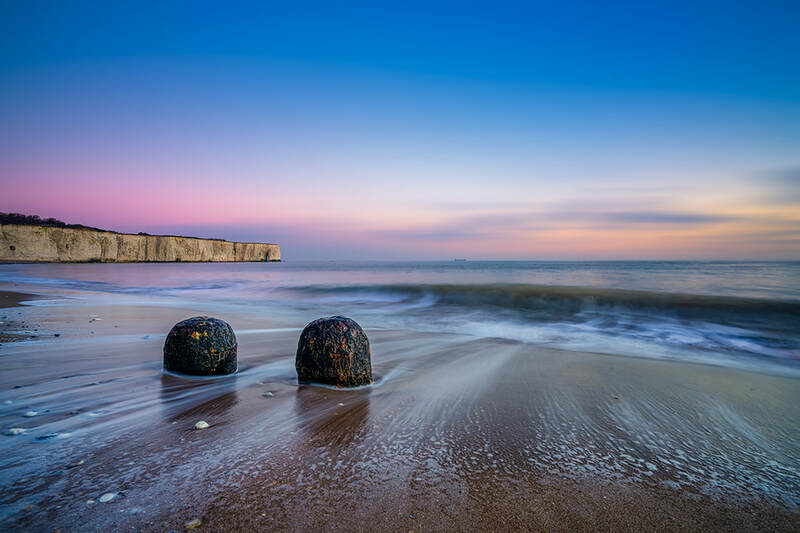 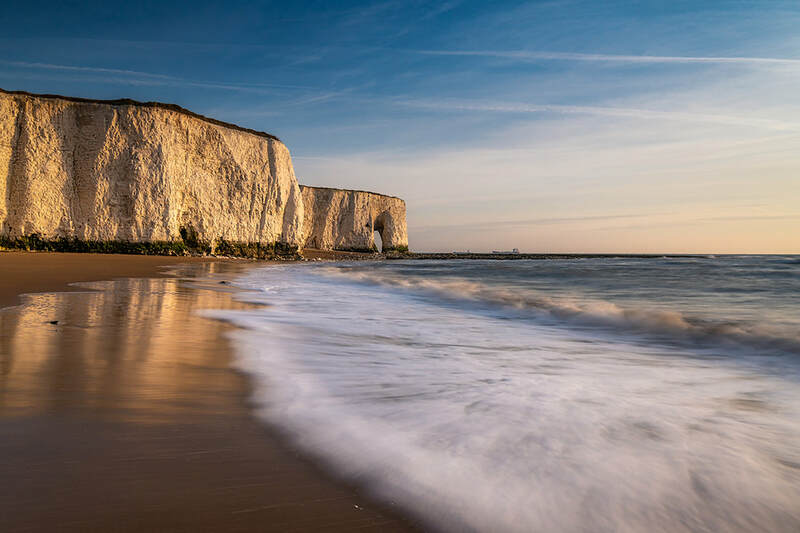 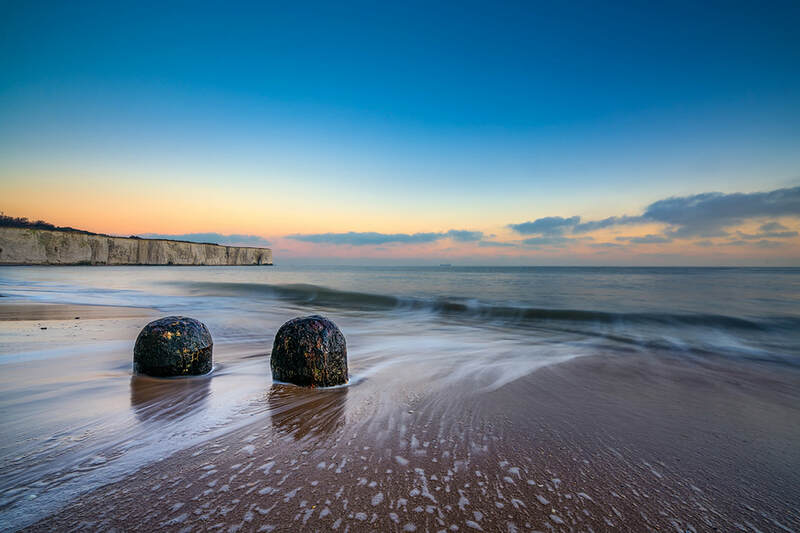 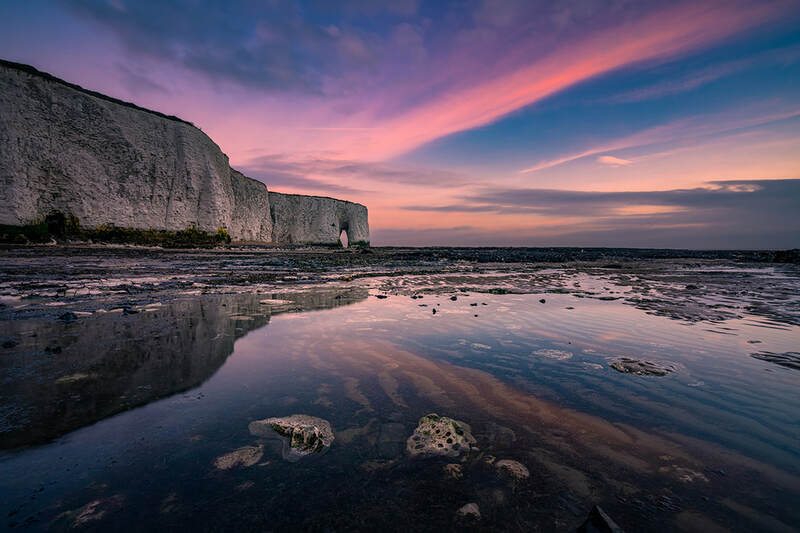 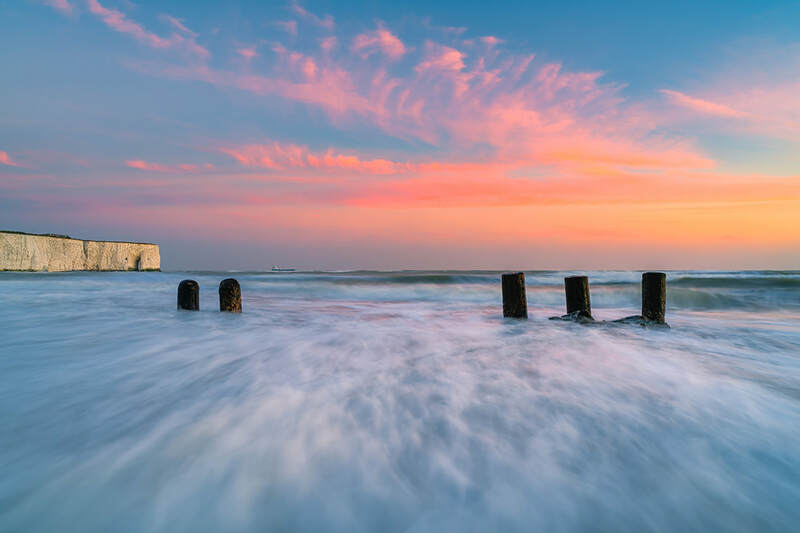 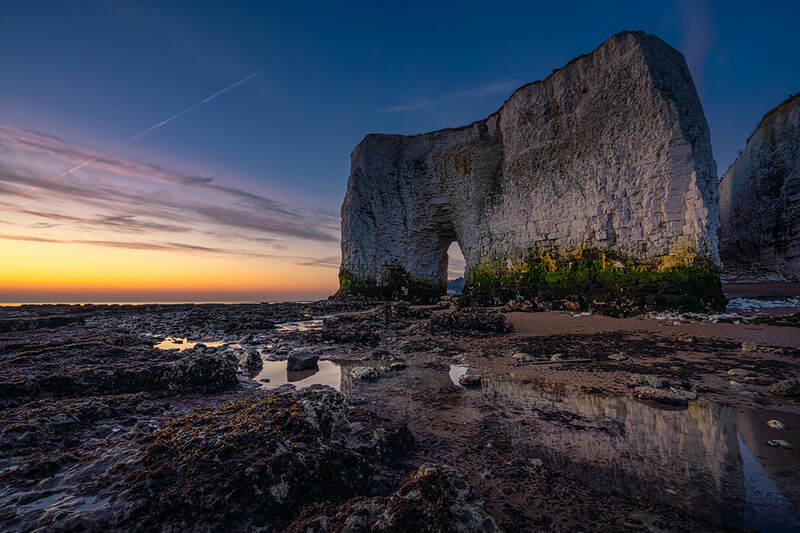 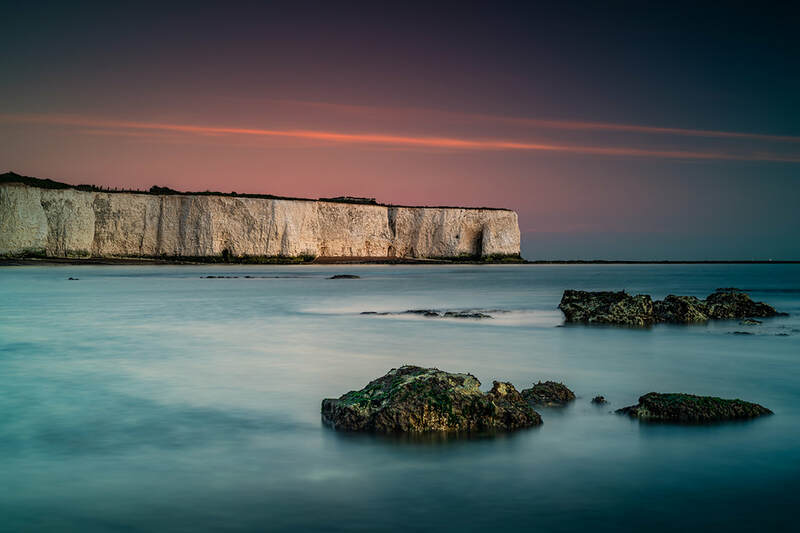 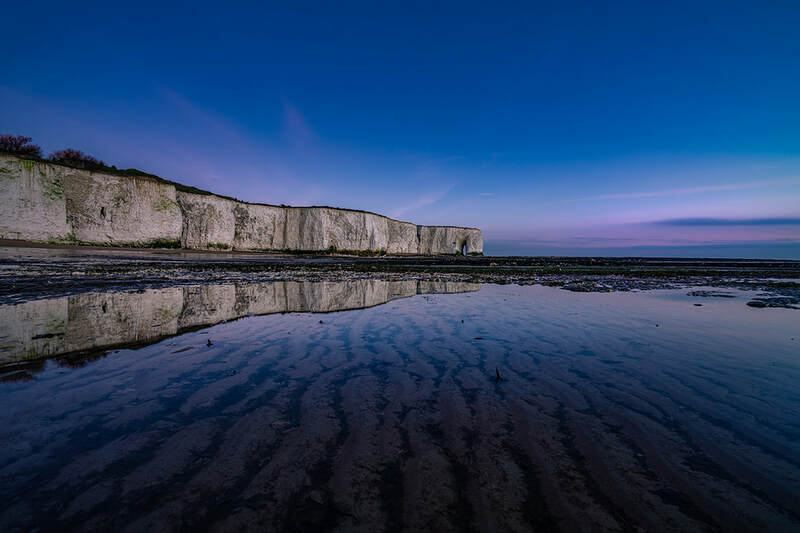 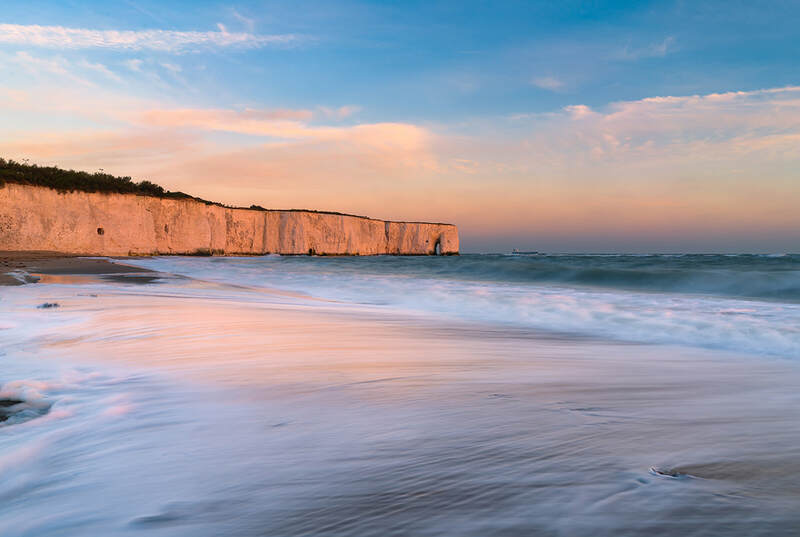 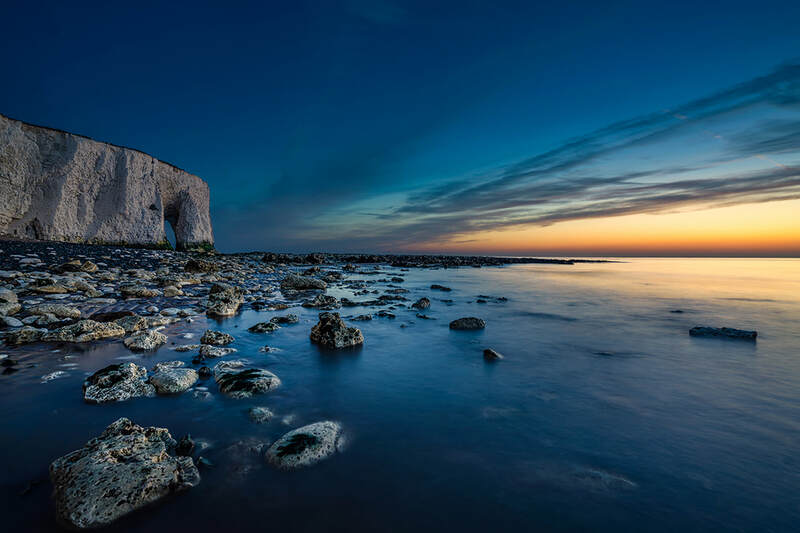 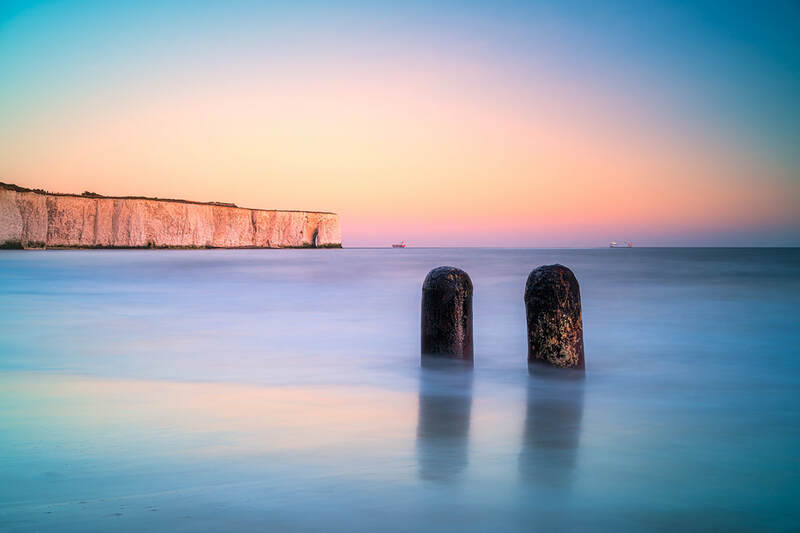 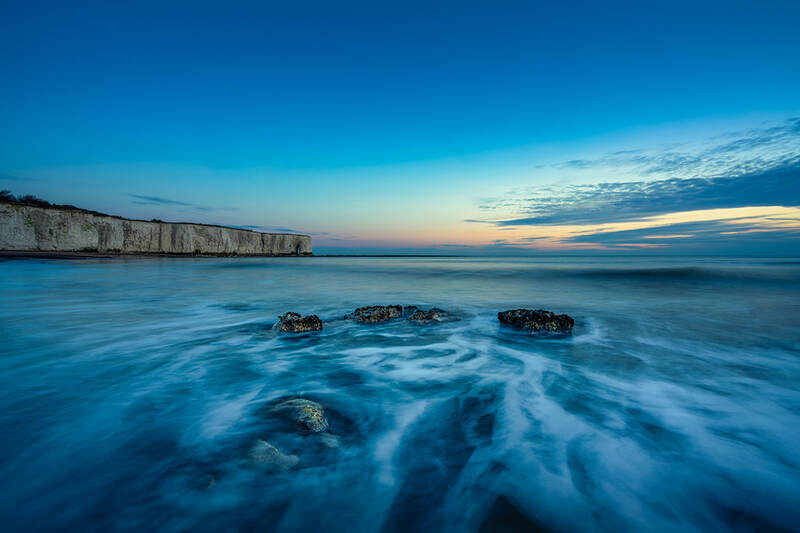 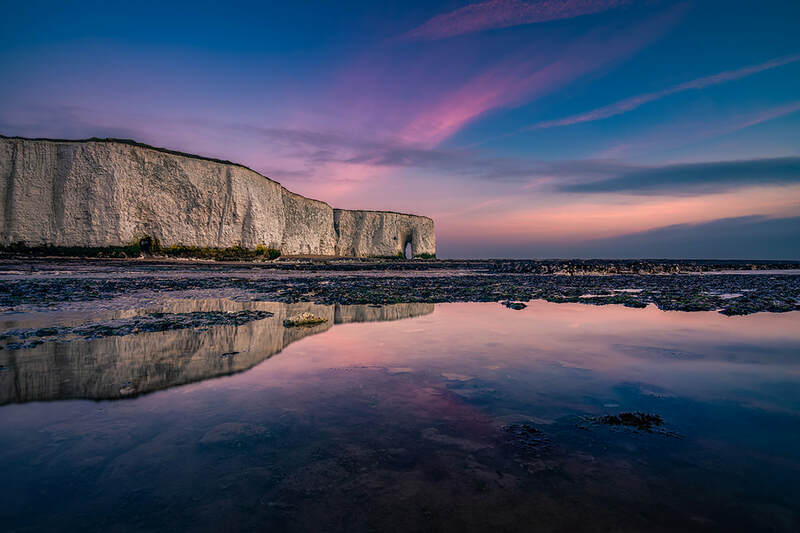 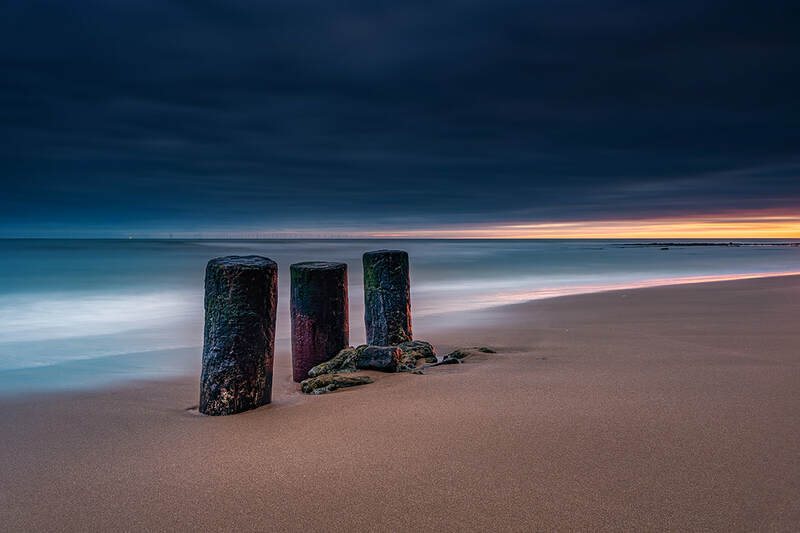 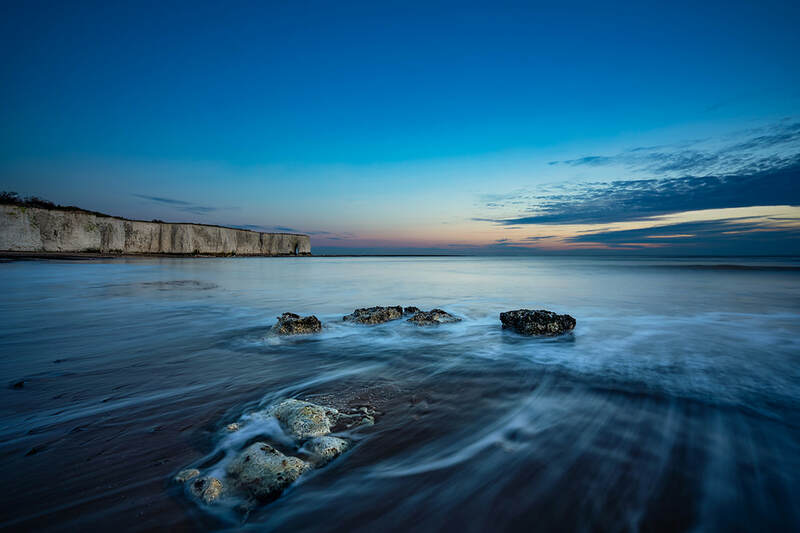 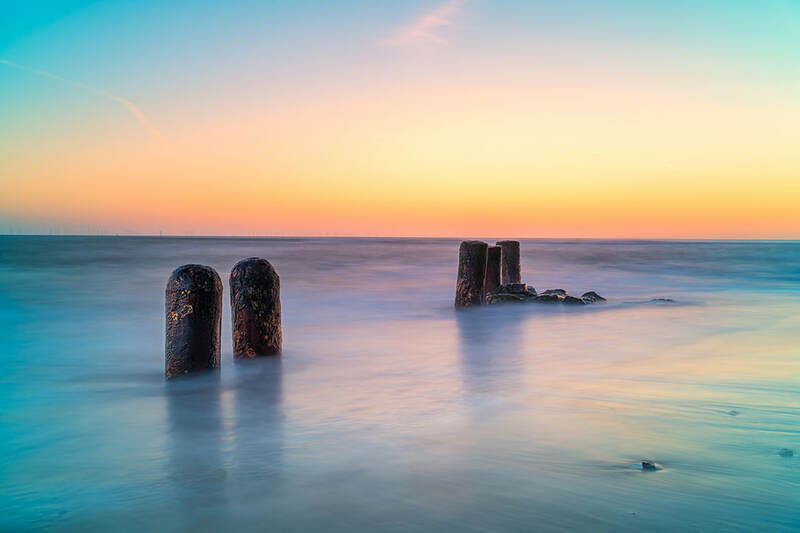 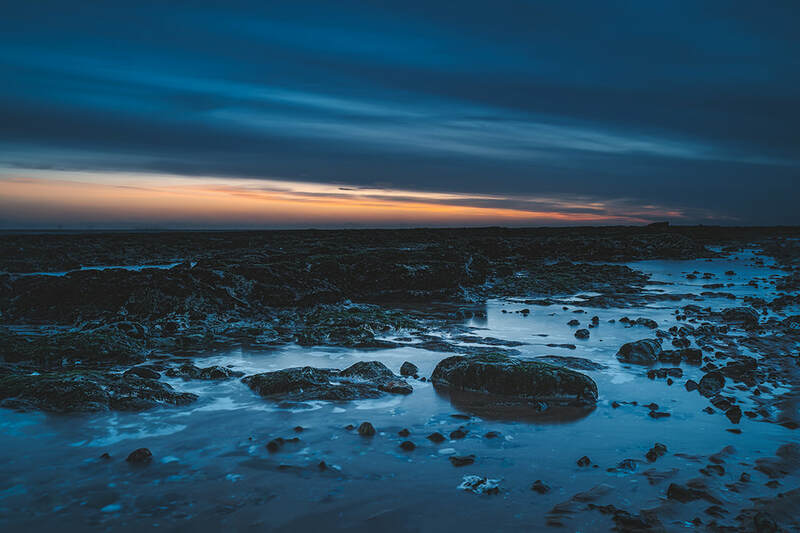 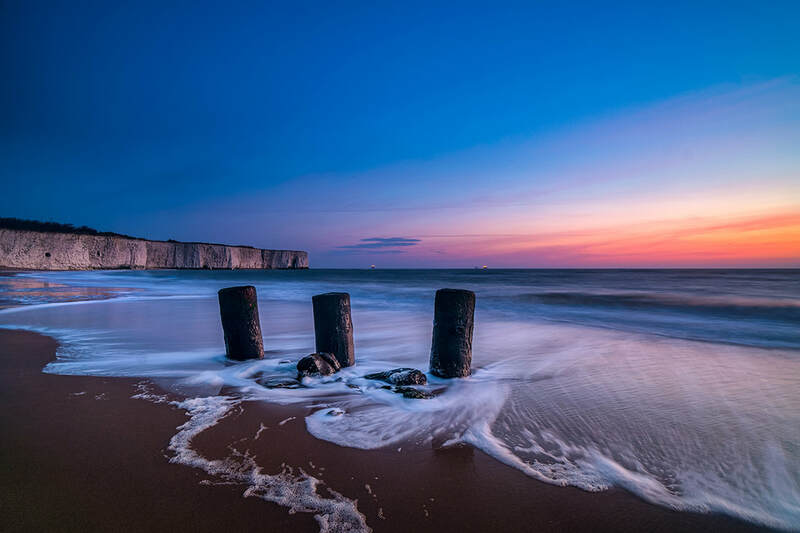 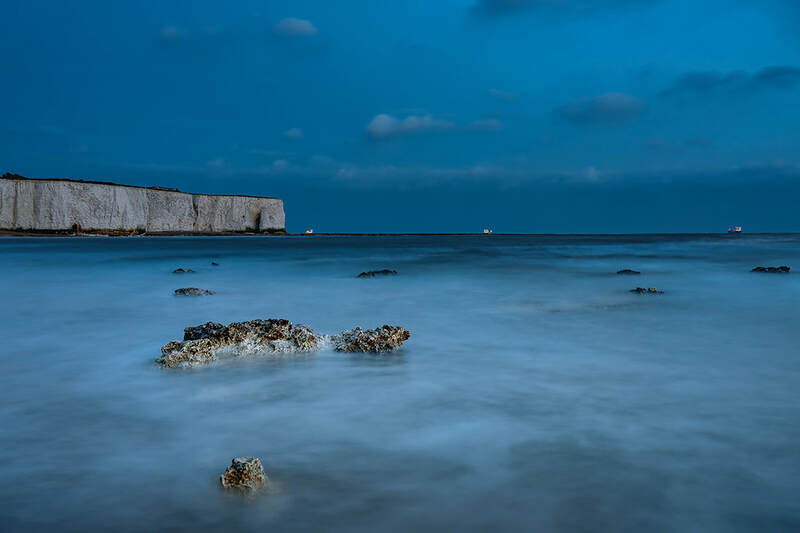 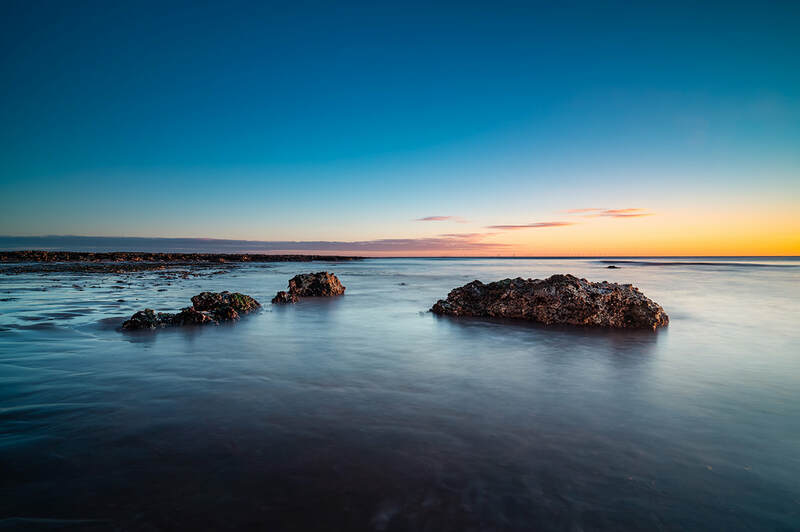 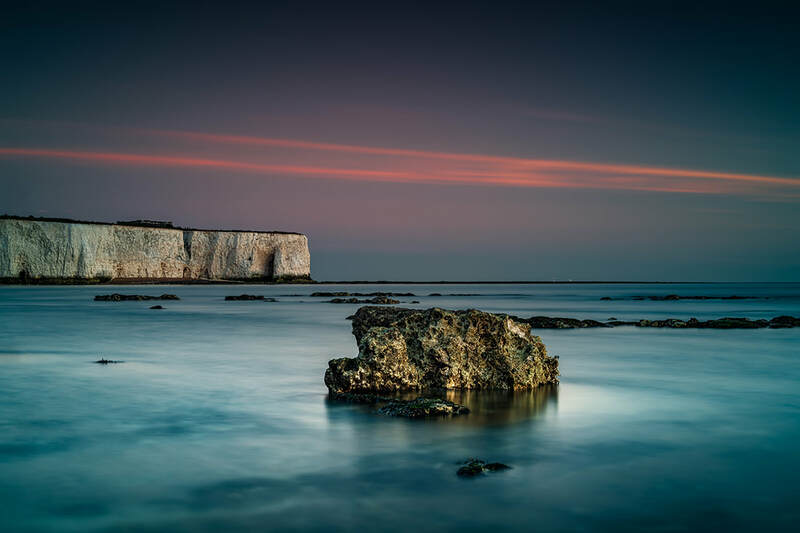 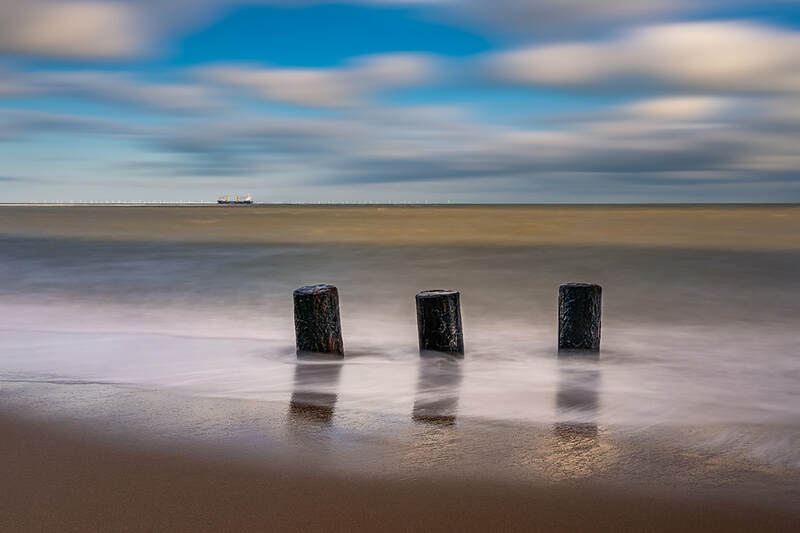 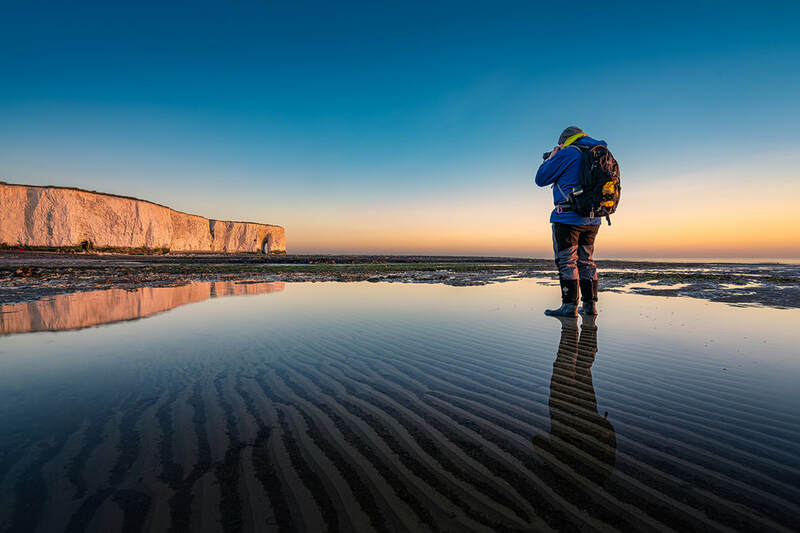 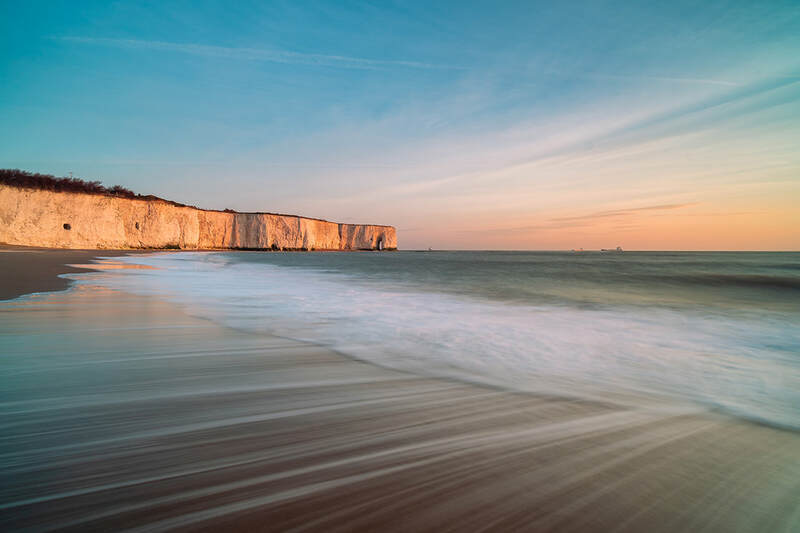 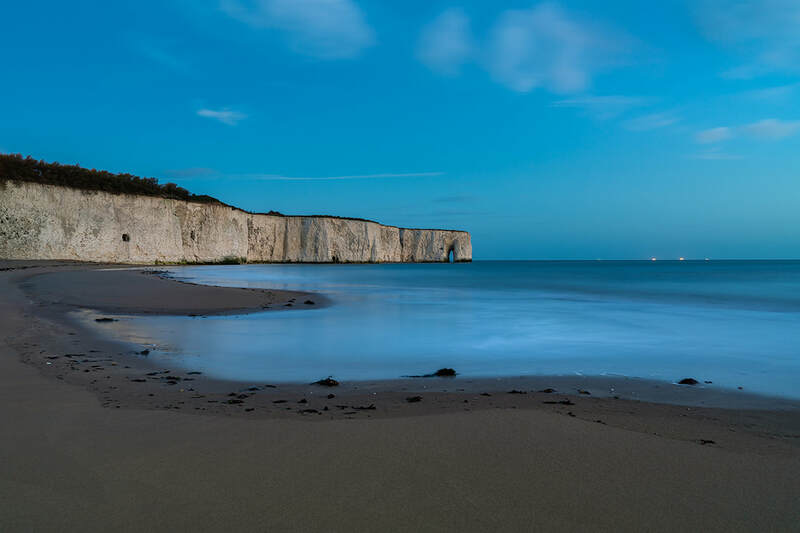 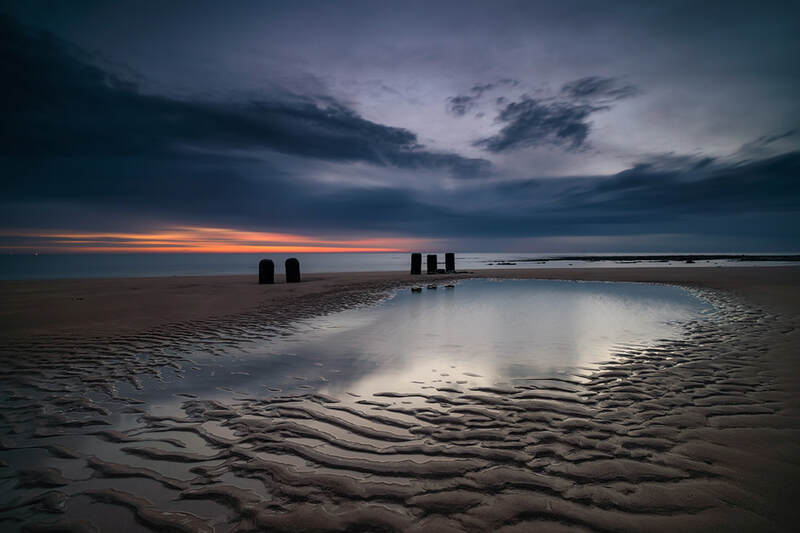 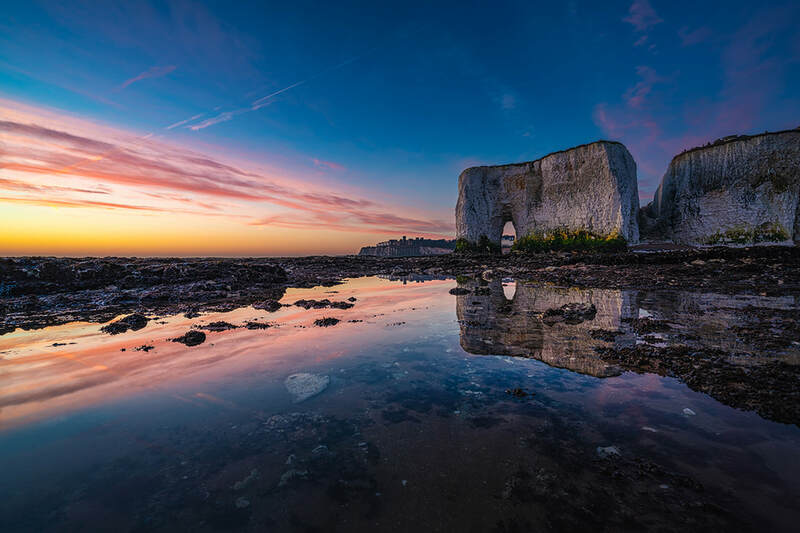 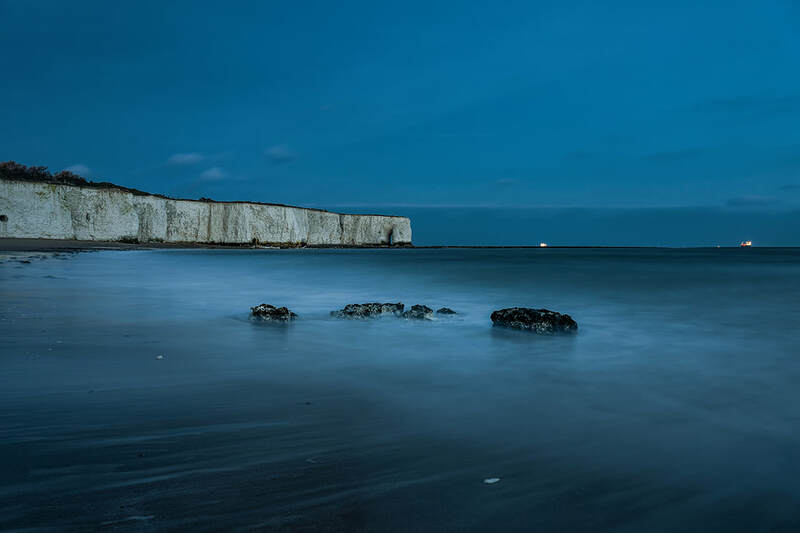 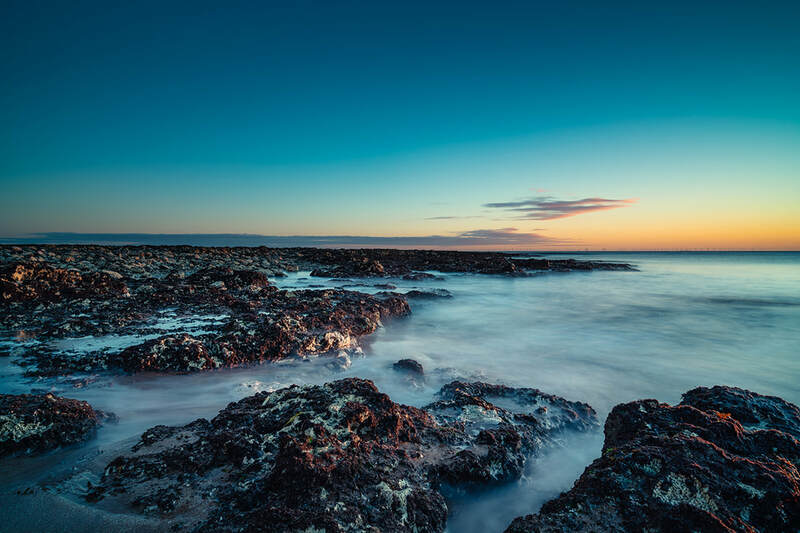 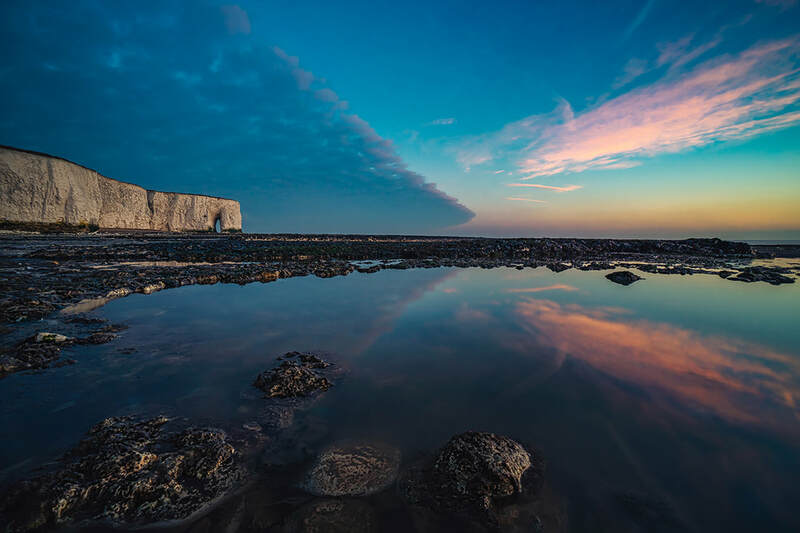 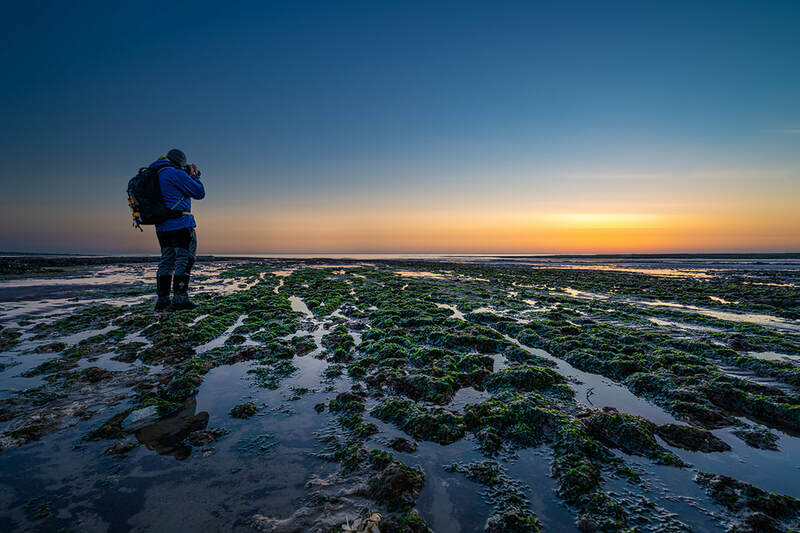 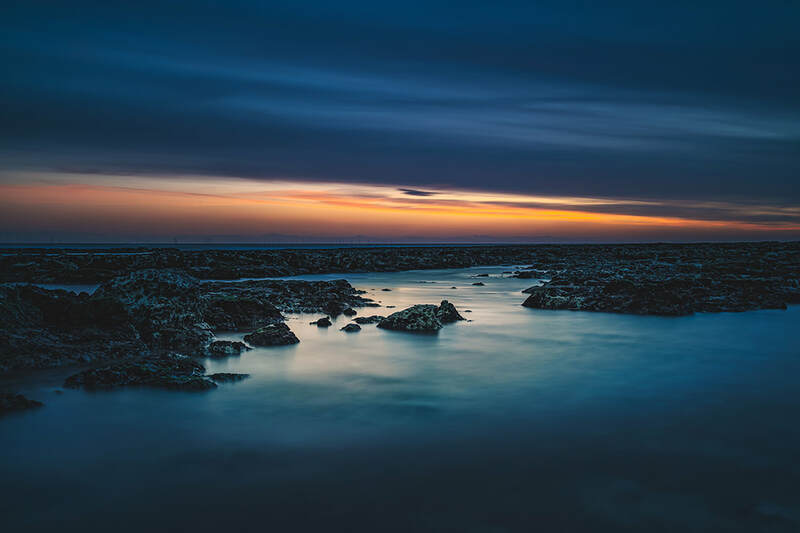 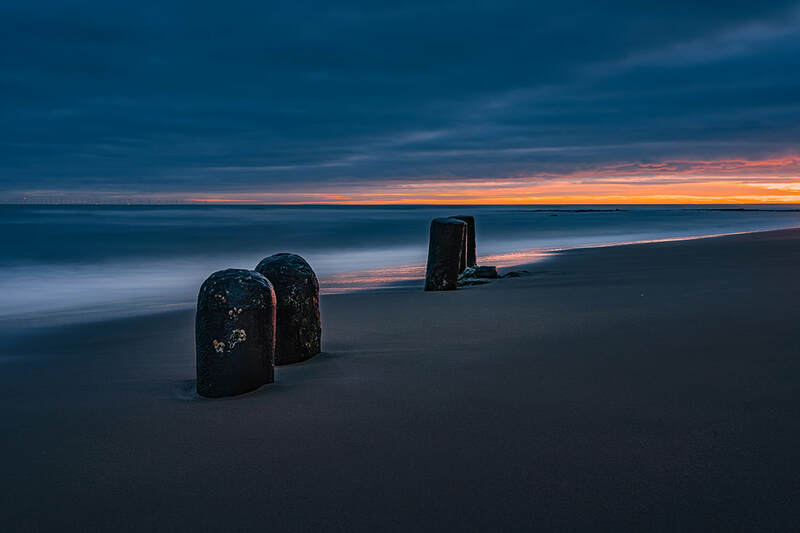 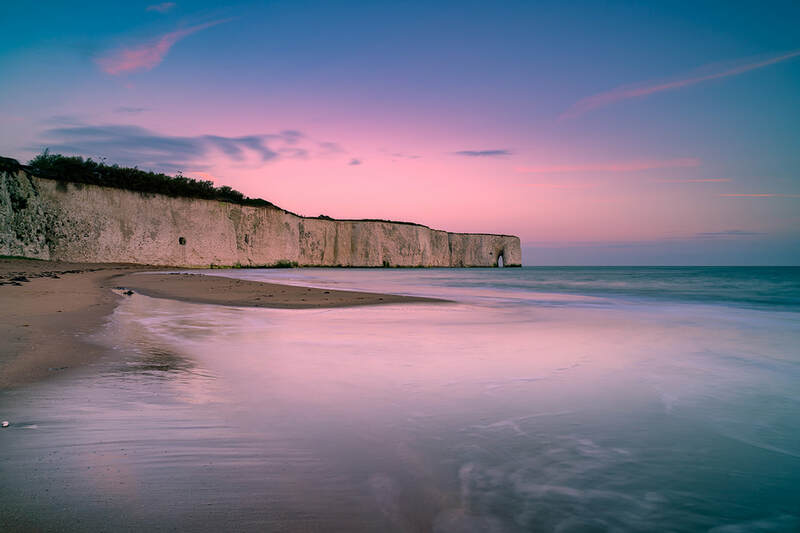 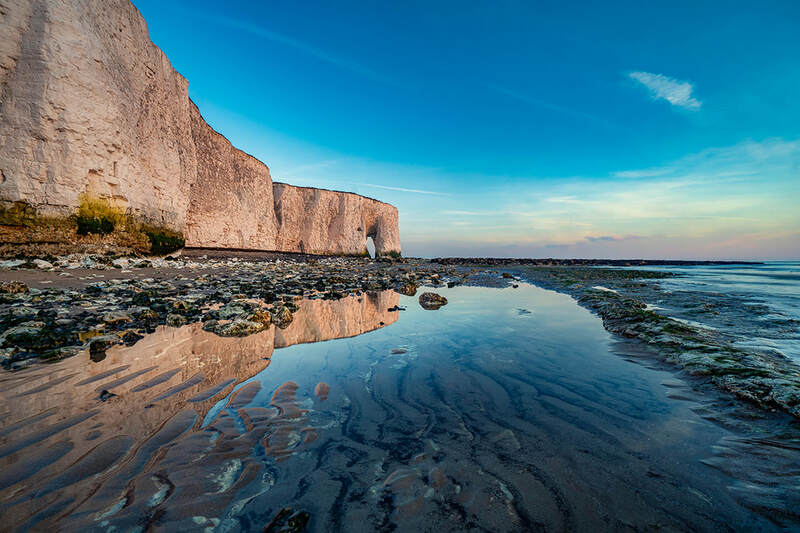 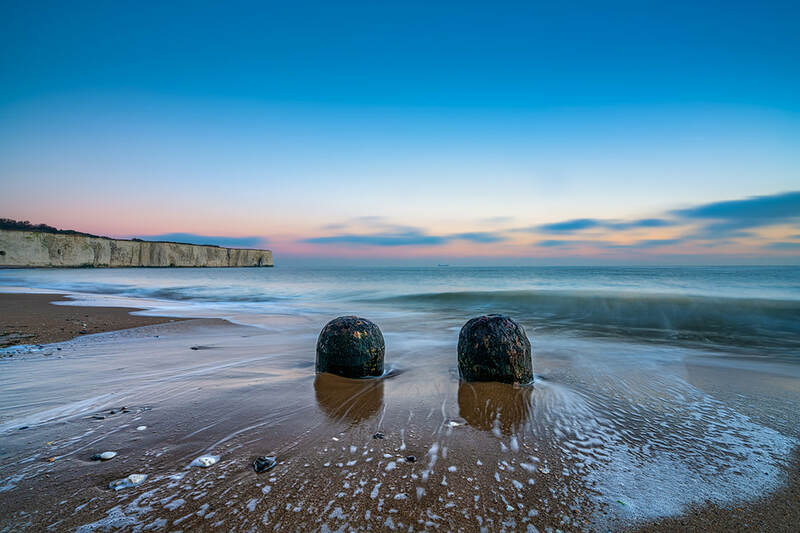 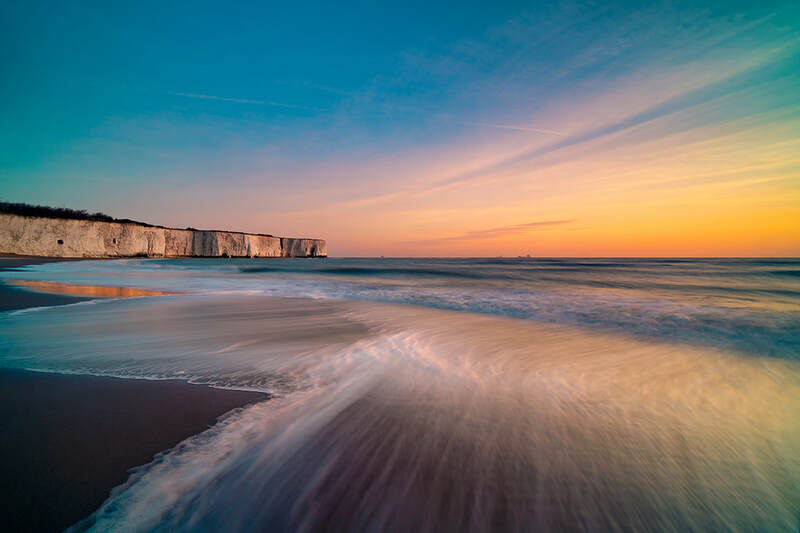 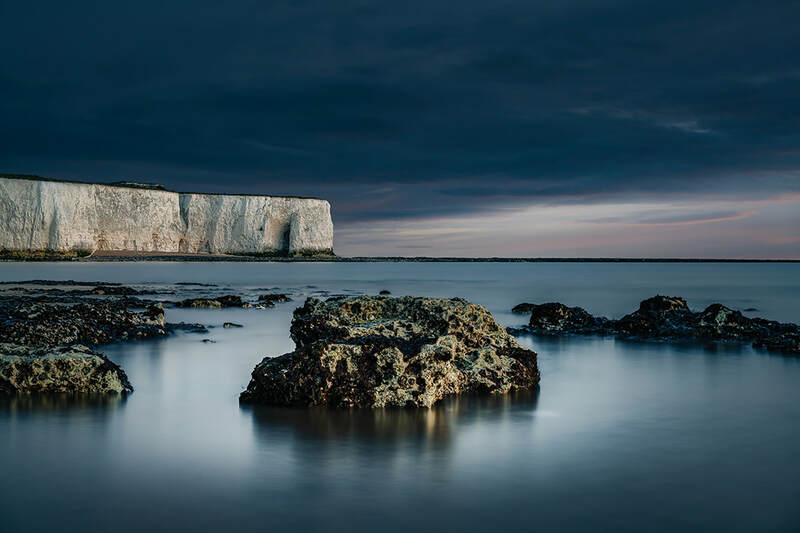 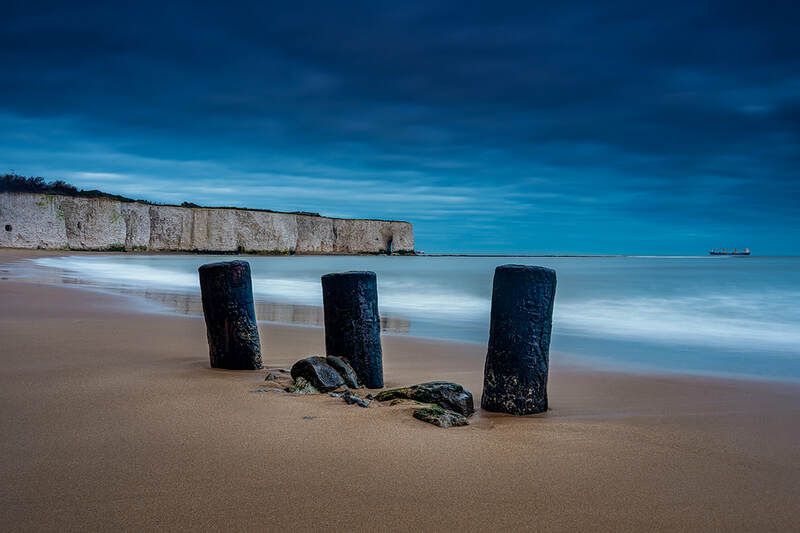 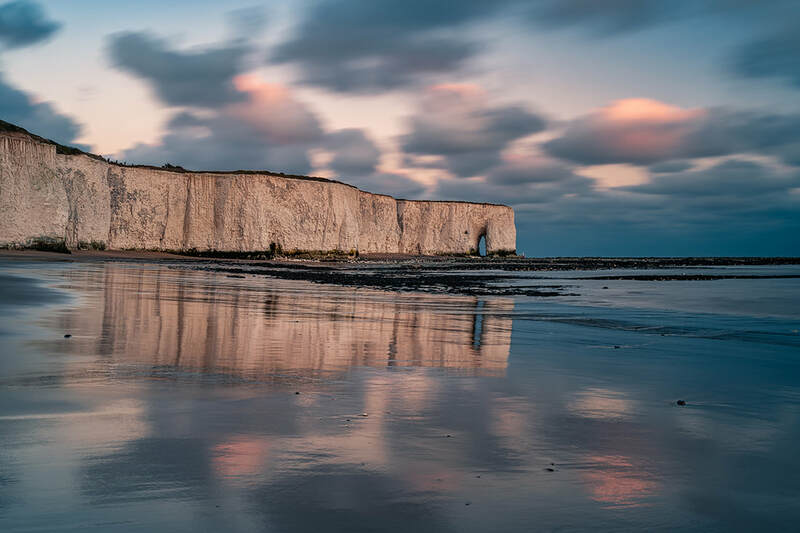 ​The Seascape Photography Workshop is an ideal introduction to Fine Art Landscape Photography and covers the basics of long exposure and learning about shooting in low light to how to compose a great picture. 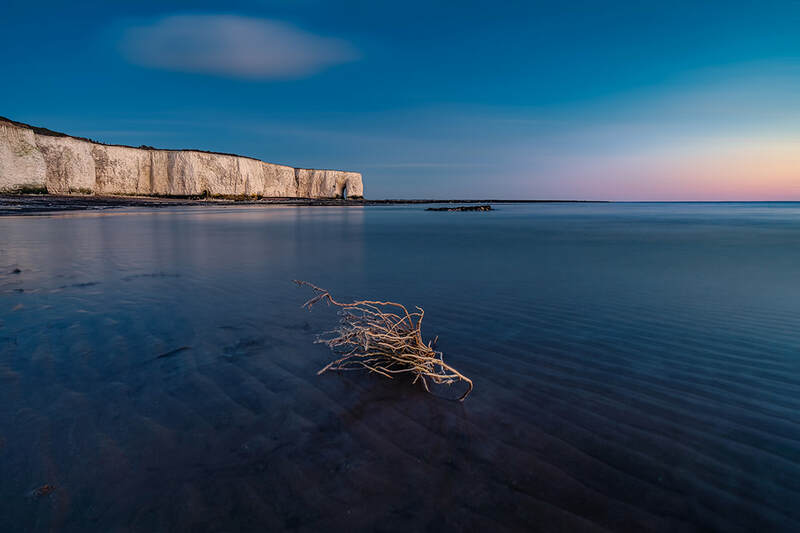 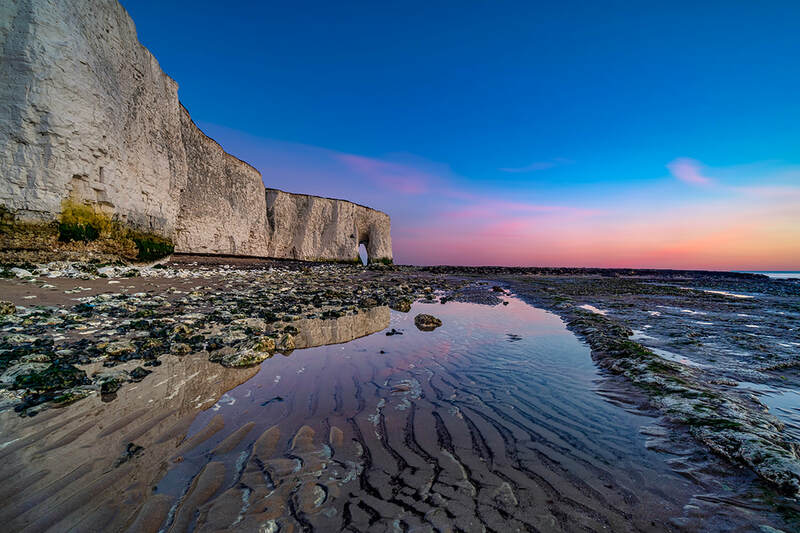 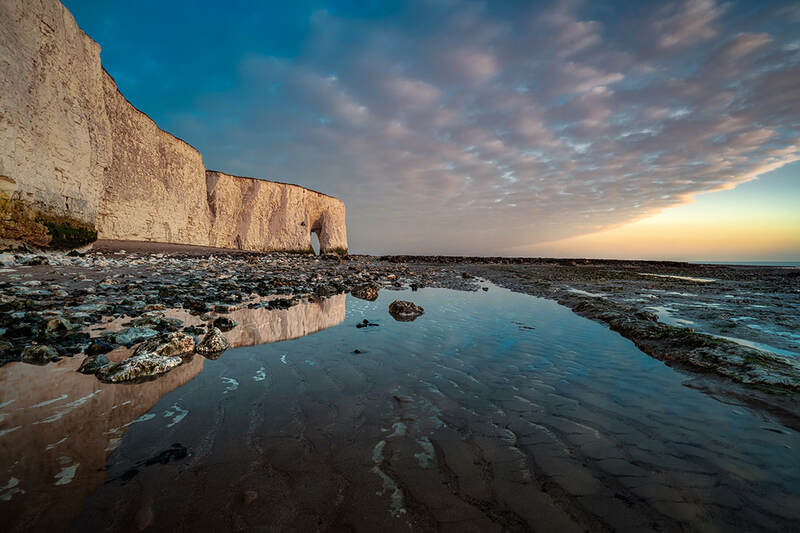 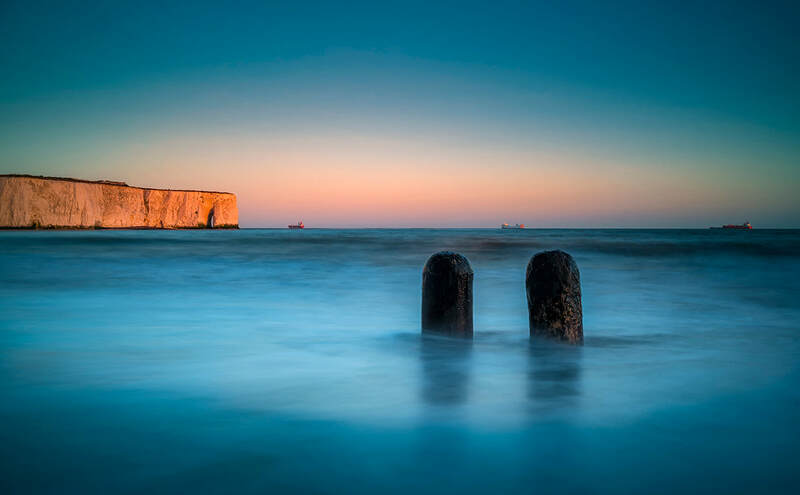 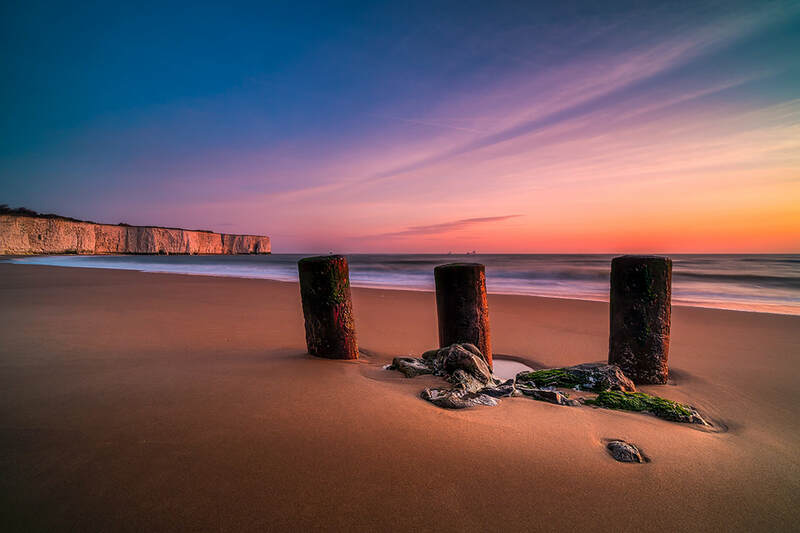 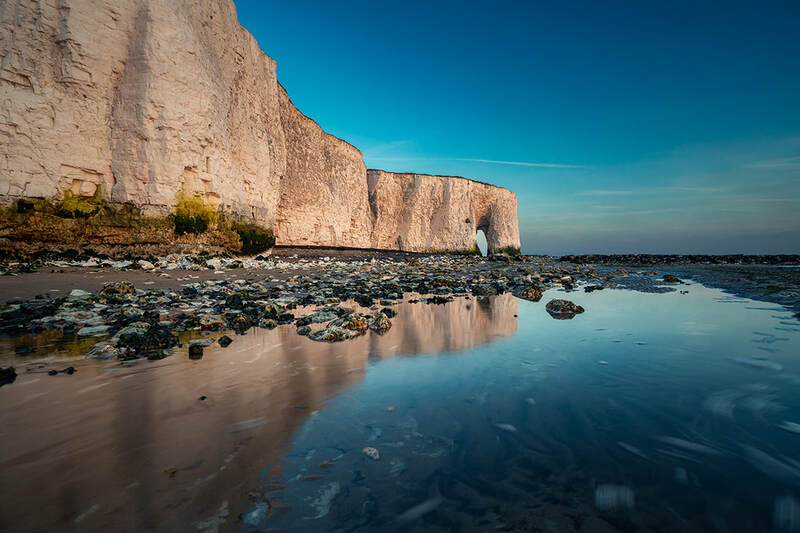 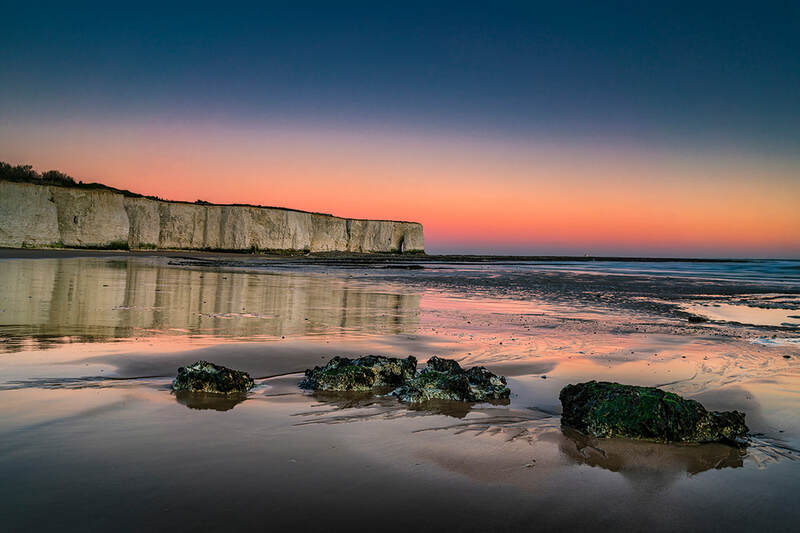 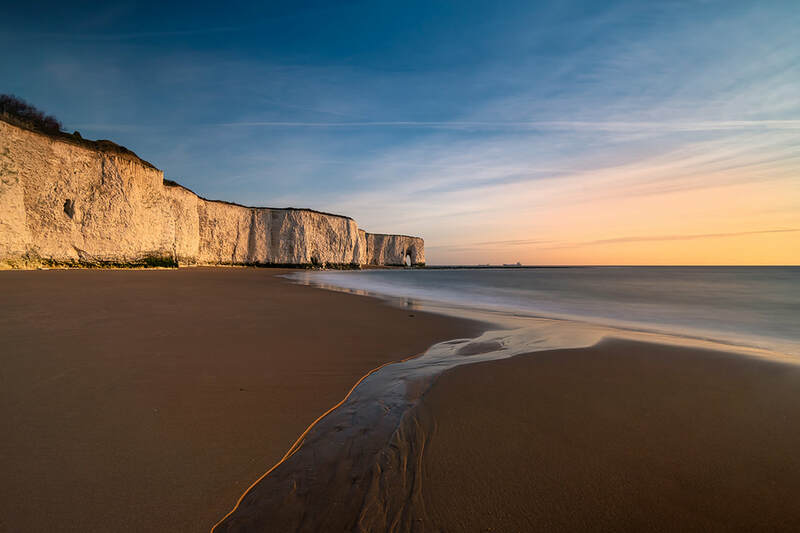 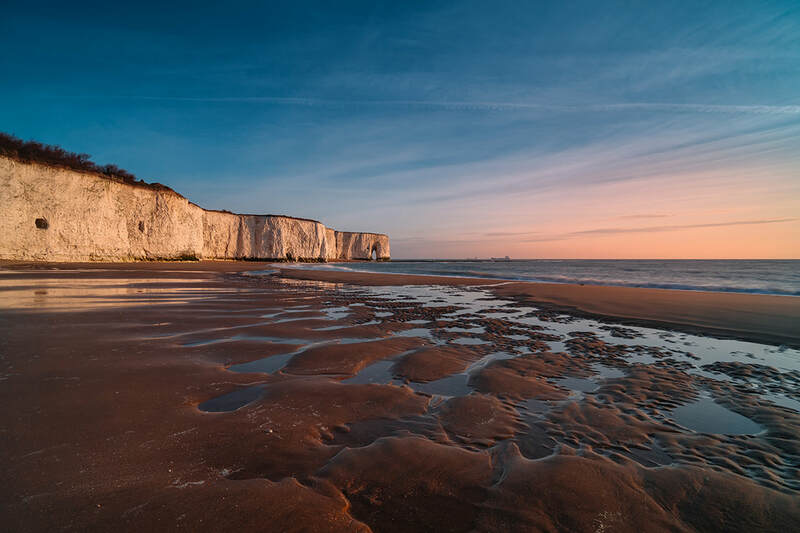 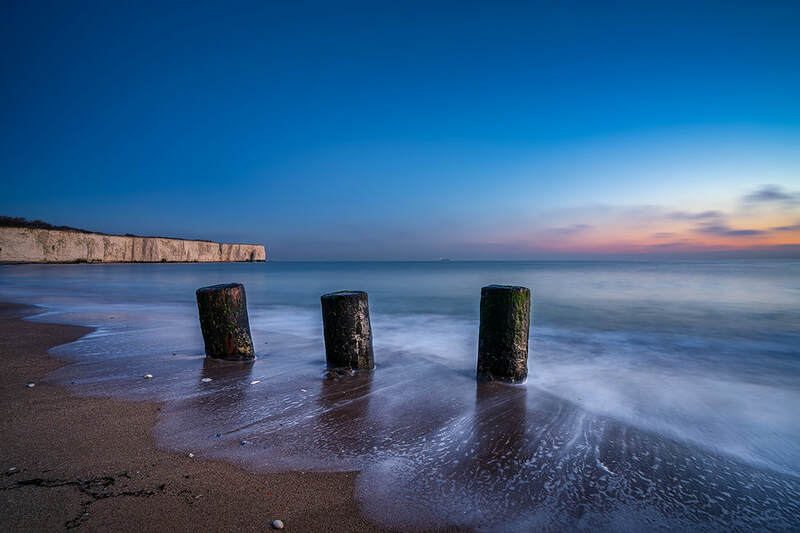 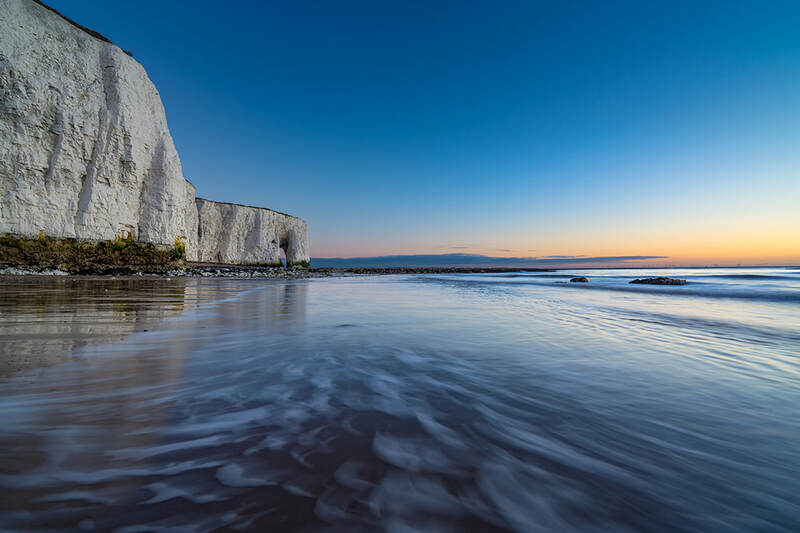 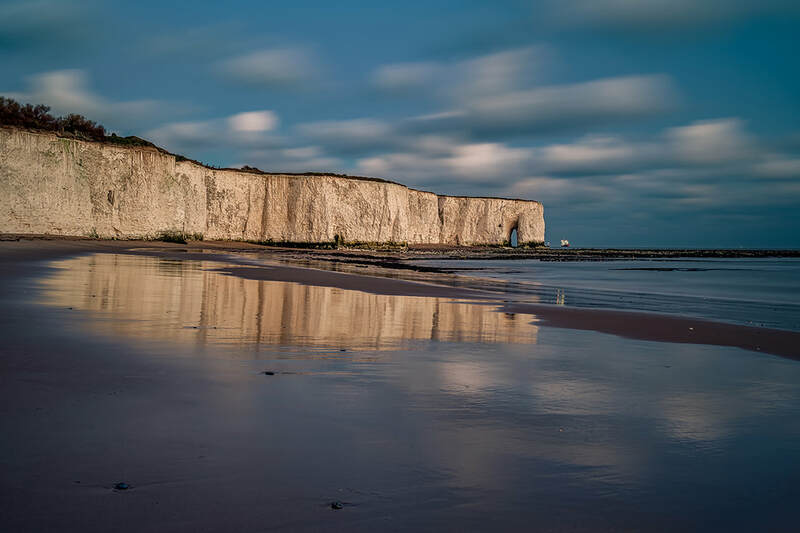 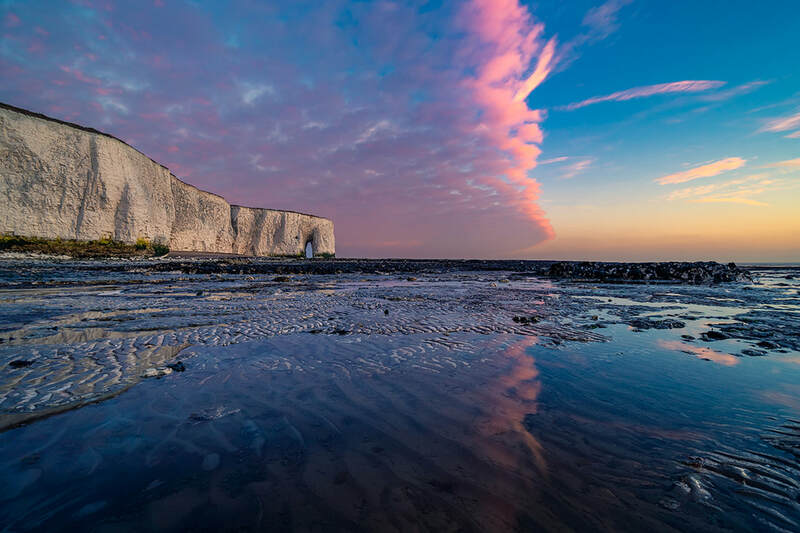 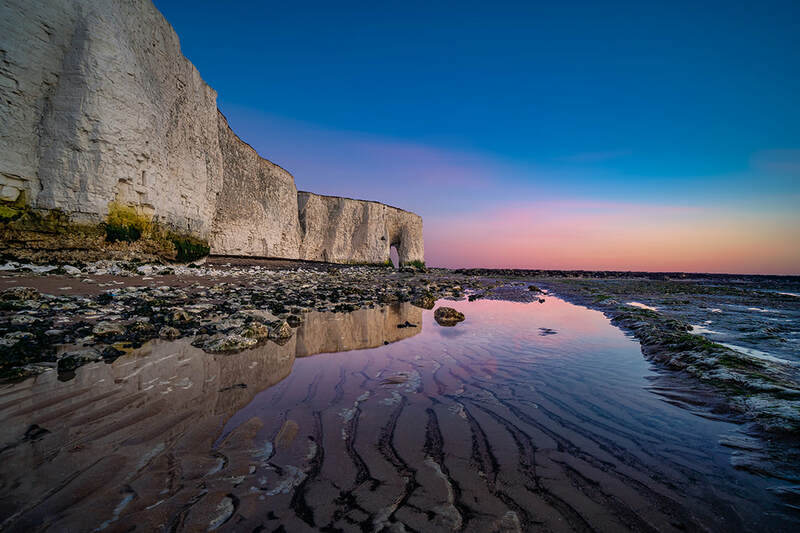 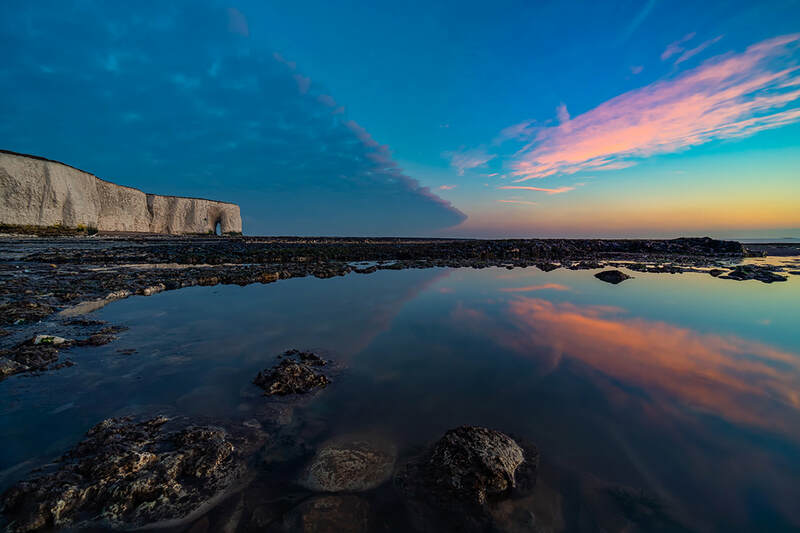 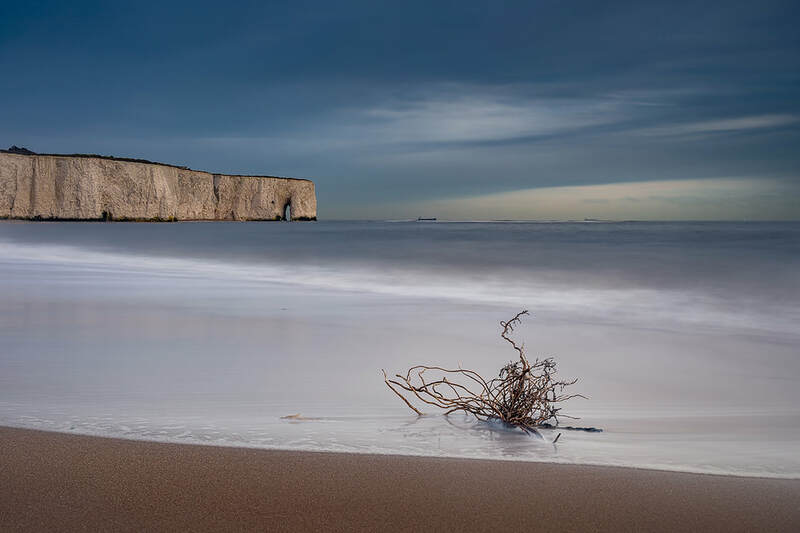 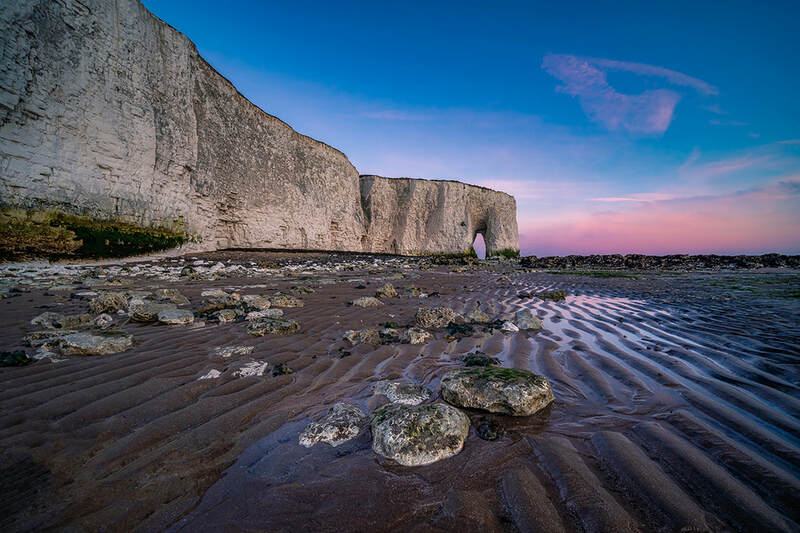 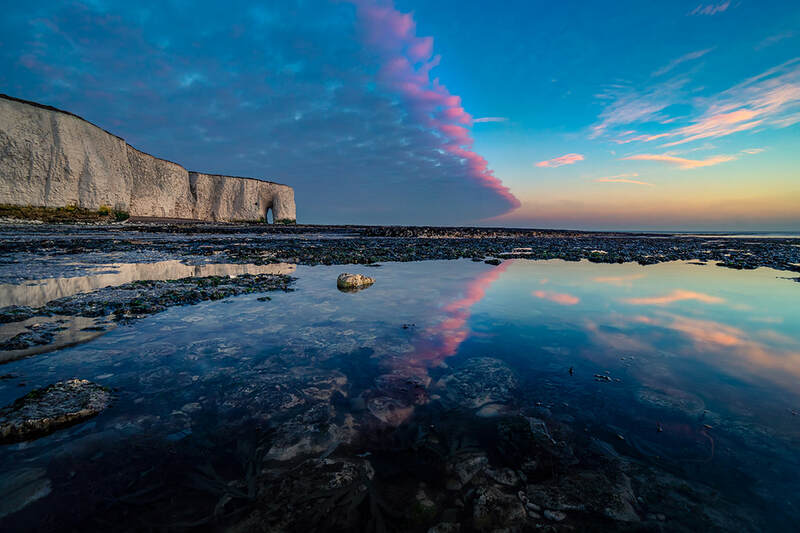 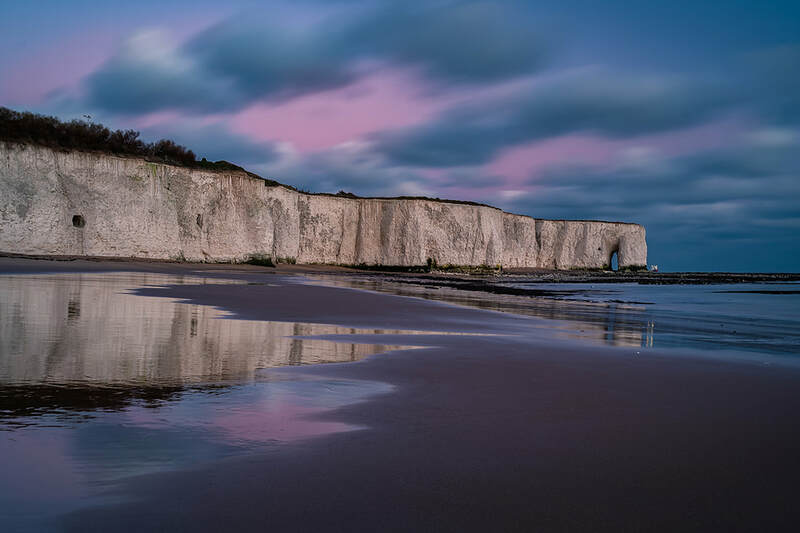 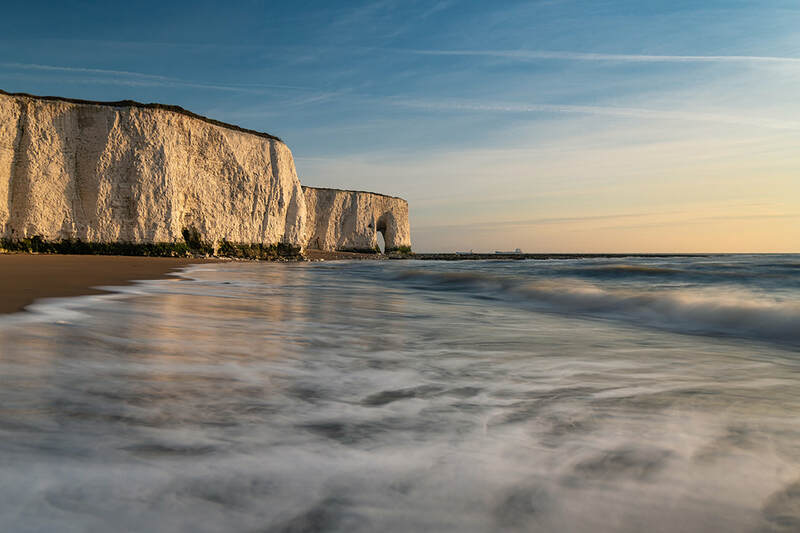 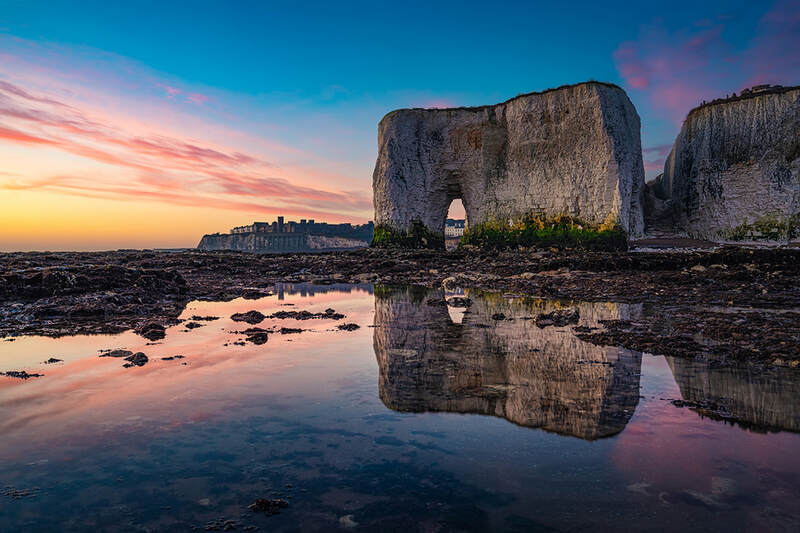 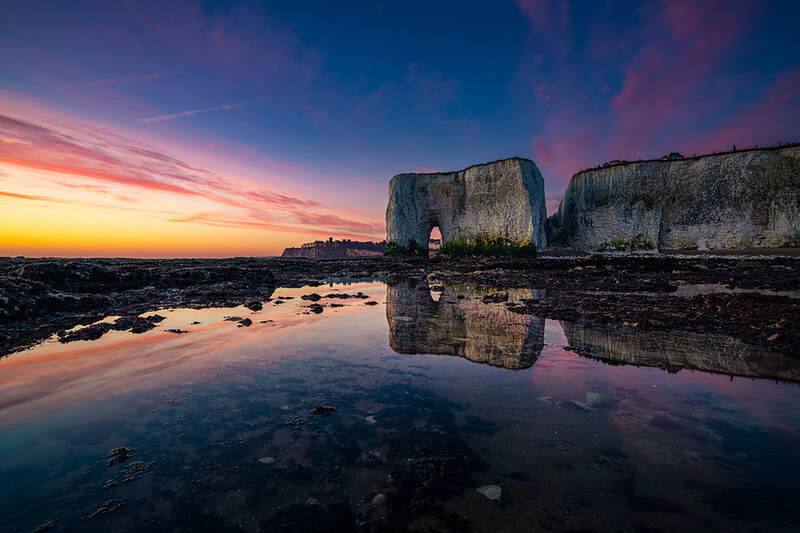 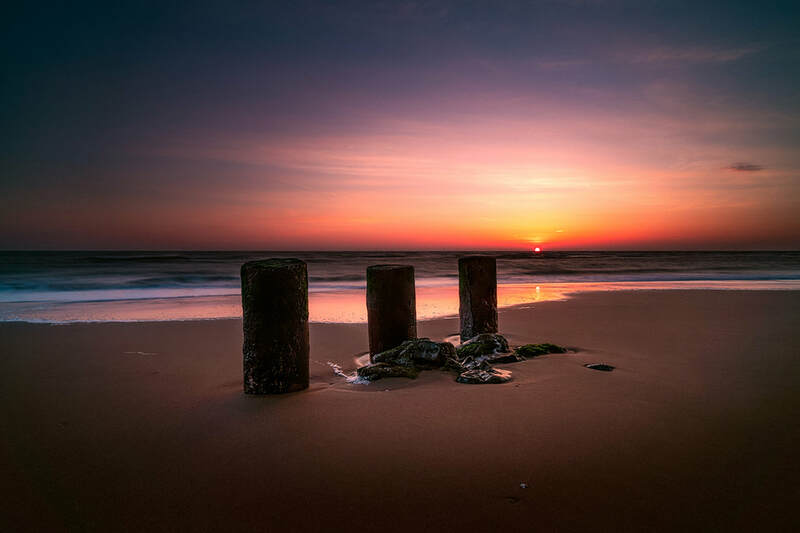 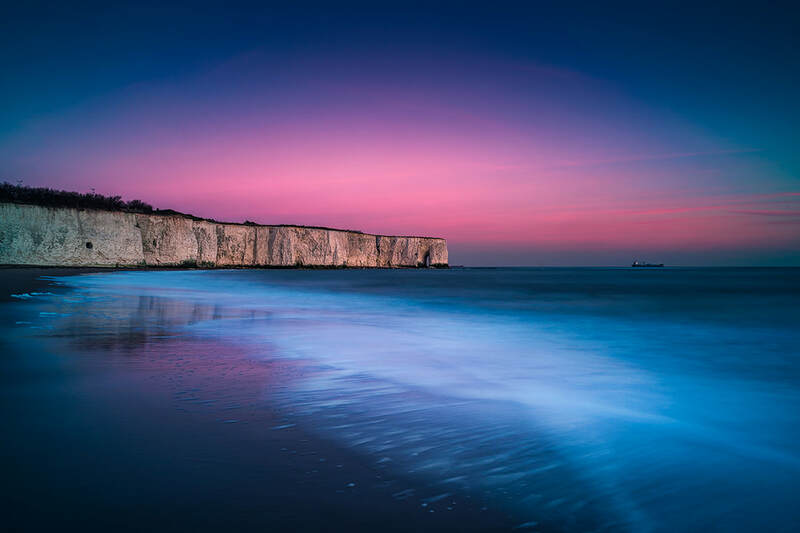 Kingsgate Bay is one of the locations I use for my sunrise workshops.